In an ever-changing world, innovations is not an option, it is necessity. We are on the edge of a new production paradigm, which enables new distribution and production models all around the World. As part of the Techfestival. in #Copenhagen we invite you to participate the DDMP Summit. During this summit you will experience and learn about Distributed Design – and together we will open up a discussion on the future of production and consumption in a digital and globalized world. 1) The City as Enabler: Copenhagen as a Fab City? The maker movement working and innovating in the growing number of Fablabs and makerspaces across the world has showed that’s possible to make physical projects but with a digital layer and digital tools, often with collaborative processes and the sharing of the digital files or documentation. Creative industries are starting to adopt the tools and methods and develop new business models on top. Design and designers are the focal point of this transformation from tinkering to world wide scalable solutions in a new digitized world. We see a rise of a new kind of designer that challenges how goods are produced and how customers relate to their products. We call the union of these new technologies, new global networks of ideas and new sustainable business models for Distributed Design. a spiral innovation ecosystem in which materials ow inside cities and information on how things are made circulates . Fab City is about building a new economy based on distributed data and manufacturing infrastructure. 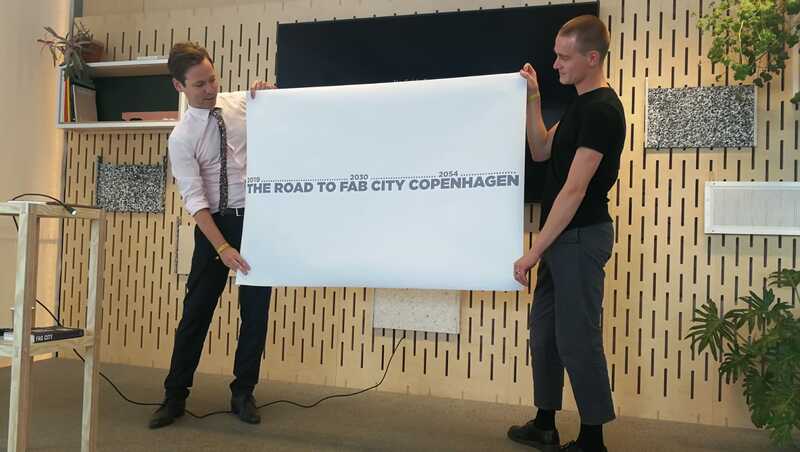 The City of Copenhagen is planning to be the first Scandinavian city to make the Fab City pledge and become fully self-sustainable by 2054 [link til FabCity] The development of creative industries, the creative mind-sets and a will play an intrinsic role in this. At the summit we invite you to discuss the outline of a tailor-made road map for Copenhagen and how we can reach this ambitious goal.